The few last months have seen so many incredible productions grace The Duke’s beautifully intimate yet atmospheric round theatre space including, a poignant adaption of Beautiful Thing and a breath-taking production of A Super Happy Story (About Feeling Super Sad). 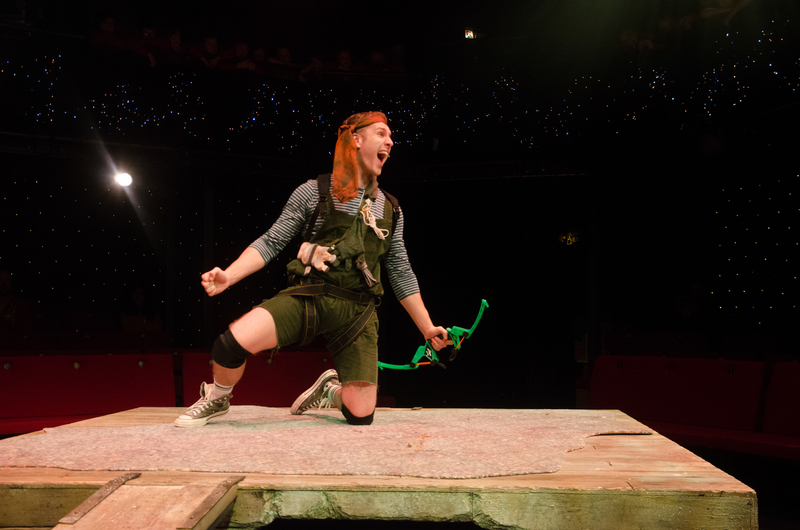 With the festive season well and truly upon us, it’s now down to the timeless tale Peter Pan to illuminate Lancastrian crowds. As the multi-generational audience started to fill their sets, the excitement was palpable. Soon after the Duke’s impressive lighting rig illuminated the stage to signal the start of the show, it was evident that this wasn’t any ordinary production of Peter Pan. Gender-neutral fairies, the inclusion of smartphones and pop-cultural references blazingly thrust this timeless story into the present day. A talented cast of five actors worked tirelessly to each perform an array of roles. Henry Mettle, who took on some of the show’s less pivotal characters, shone with his impressive characterisation and comic timing, managing to draw the audience’s attention in even the most unassuming roles. 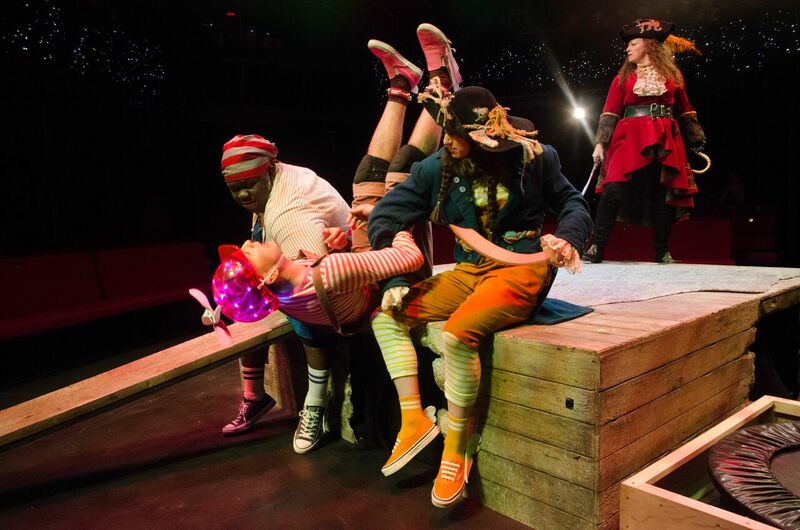 In his role as Smee, he effortlessly brought humour and excitement from even the most unexpected places. An integral part of any production of Peter Pan is the flight sequences. After initially stunning with entrancingly beautiful trapeze work, Peter Pan was soon plummeting down from the Duke’s balcony with the aid of wires. Further use of wires throughout the show could have elevated the excitement, but the ingenious use of the elegantly designed ever-evolving stage did manage to provide the perfect setting for the actor’s radiant performances. Although the witty dialogue propelled the show, the production was at its best while in motion. With the seating in the round, you felt so intimately connected to the actor’s movements. There’s nothing quite like feeling the vibrations of the actor’s rapid manoeuvres tingle throughout your legs as they gleefully absorb you into the story with their vibrant, energetic performances. The show’s first half ended on an impressively well-choreographed fight scene which provided fun, humour and excitement in equal measure. Although the actor’s performances were phenomenal, it was the impressive light and sound that really drew you into some of the critical scenes. It’s a real testament to the Duke’s that they achieve such creative, technical brilliance in such a brilliantly intimate space. 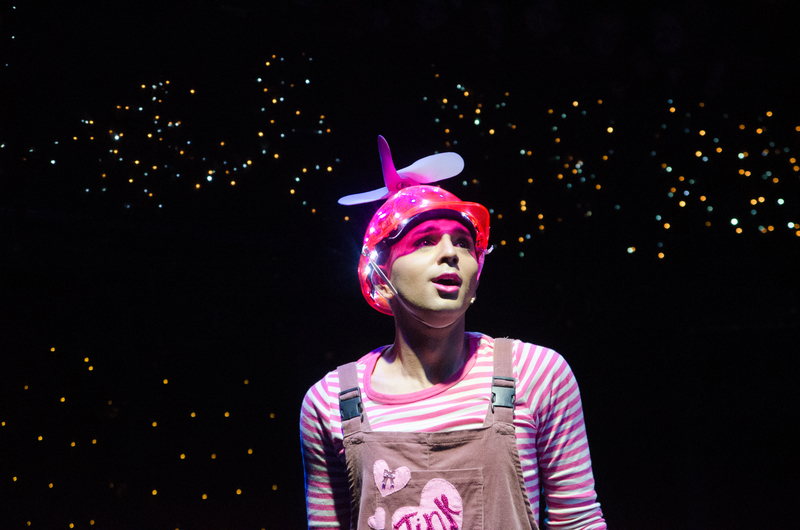 Although not a pantomime, the production retains some of the interactivity that fosters fun and collective engagement, without engaging in predictable clichés. One criticism of the show is the apparent unwillingness to engage with the hilarious, spontaneous comments from some of the younger members of the audience. Although, some of the youngsters situated in the front rows secured a starring role aiding Peter Pan close to the conclusion to the show to the simultaneous delight of the parents and the audience as a whole. Overall, this production of Peter Pen exceeds even the Duke’s lofty ambitions, utterly bewildering the children with its radiant, brilliance while still unquestionably captivating the rest of the audience. 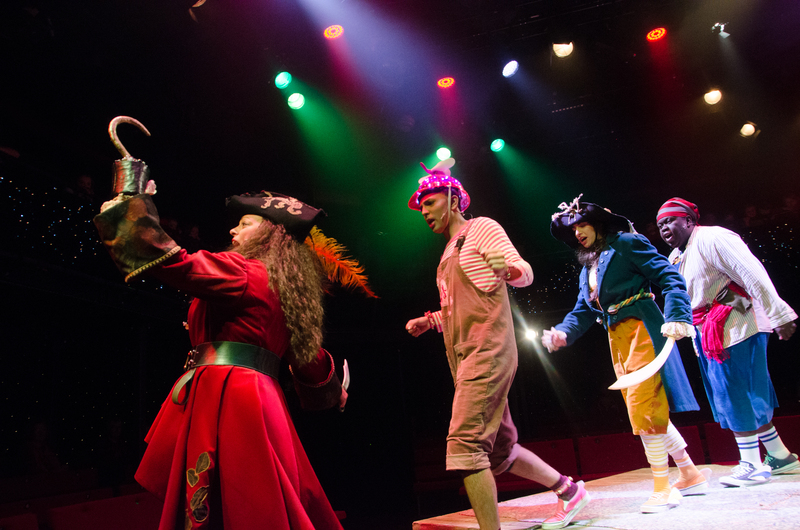 With no Play in the Park lined up next summer, Peter Pan is the biggest event in the Duke’s calendar for the foreseeable future, and it served as indisputable evidence for the Duke’s seemingly endless ambition to bring astonishing art to Lancaster.